Key Difference: Server, can be hardware as well as software, is a system that responds to request across a computer network. Various different computers are usually connected to the server, which acts as a host. A workstation is quite similar to a normal desktop these days; however, initially, it meant a system that is designed specifically for scientific or technical applications. These computers were designed with high RAM, a GPU card and memory capacity and multitasking capability. Server and workstations are computing systems that are usually found in many corporate structures. Servers play a crucial part in many offices and are used to hold data or host a number of different features between computers. On the other hand, workstations are high-end computers that are specifically designed for technical or scientific applications. But with the fast pace in technology, many desktop computers are now capable of performing these capabilities, blurring the line between desktops and workstations. Server, can be hardware as well as software, is a system that responds to request across a computer network. Various different computers are usually connected to the server, which acts as a host. A server can be a program that allows various computer to connect to it on one particular network or it can be a dedicated system (without a mouse of keyboard) that connects various systems to one dedicated network or allows various computers to access the same data or information. A server works within a client-server architecture, which means it is responsible for responding requests from the client systems. Within this model the client serves the role of an initiator while the server effectively serves to process the requests send by the client. 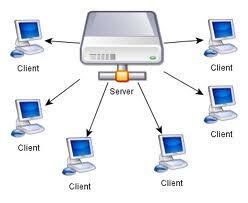 The computers connected within a network are also able of hosting servers. Again a computer may also run several servers and connect to the required one accordingly. A server is typically a socket listener that can serve numerous users at a time. This client-server architecture operates to serve public users through internet or private users dedicated to some specific organization or network. There are many different kinds of servers that perform different jobs depending on their capabilities. Servers include being database server, file server, mail server, print server, web server, gaming server, application server, or any other kind of server required by the user. The common ones include database server that keeps database services on the server, which is accessible for the other client systems and file server provides a shared disk access for storing various types of files on the system. Some organizations require multiple servers to host different applications; these servers are either mounted in a rack or tower form in a server room and are controlled using a KVM switch, rather than a mouse of a keyboard. Internet in the similar way is a stack of server where a single request for a web page is processed through a channel of protocols which are satisfied by a number of servers. This may involve modem, routers, domain name server and multiple other servers to process a singular web page request. A workstation is quite similar to a normal desktop these days; however, initially, it meant a system that is designed specifically for scientific or technical applications. These computers were designed with high RAM, a GPU card and memory capacity and multitasking capability. Although, these were designed with only one user in mind, the systems are usually connected to a local area network and run multi-user operating systems. These days, workstation refers to any area or desk where a person places a desktop and works on it. It can also refer to a mainframe computer terminal that is connected to a network. Some companies such as HP also refer to powerful all-in-one PCs as workstations. Workstations usually use operating systems such as Linux or other such open OS. A workstation was design to work difficult and complex data. They are optimized for the manipulation of different data such as 3D mechanical design, engineering simulation, animations and mathematical plots. The displays have high resolution and can also have multi display. 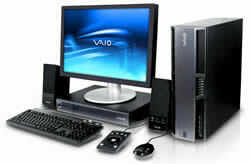 The systems have a powerful graphics card, fast RAM, higher storage capability and graphics capability. Originally, these systems were the first to offer advanced tools, accessories and technology. IBM 1620 is considered to classify as the first workstation. The IBM 1620 was introduced in the 1960 and was designed to work interactively by a single person. In order to make the device cheap, the company did not add any arithmetic circuitry to the system. In order to perform addition, it required a memory-resident table of decimal additional rules. The machine was code-named CADET, which became an anagram for “Can’t Add, Doesn’t Even Try.” The IBM 1620 was succeeded by the IBM 1130 scientific computer. A server and a workstation have multiple differences between them. There are each designed with a specific purpose in mind. A server is made for multifunction or being able to handle multiple tasks simultaneously. It is responsible for maintaining multiple connections and responding to multiple requests at the same time. A workstation does not require being able to hold that many connections. It just has to have a fast processor to be able to handle multiple running large applications. A server is basically for the purpose of hosting networking capabilities, while workstations require being able to solve complex problems. Servers and Workstations also have different operating systems; servers require server based operating systems such as Windows Server 2000, while workstations run on normal operating systems such as Windows XP, Windows 7, etc. While servers are designed for large-scale operations, workstation only allows one person to work on it at a time.